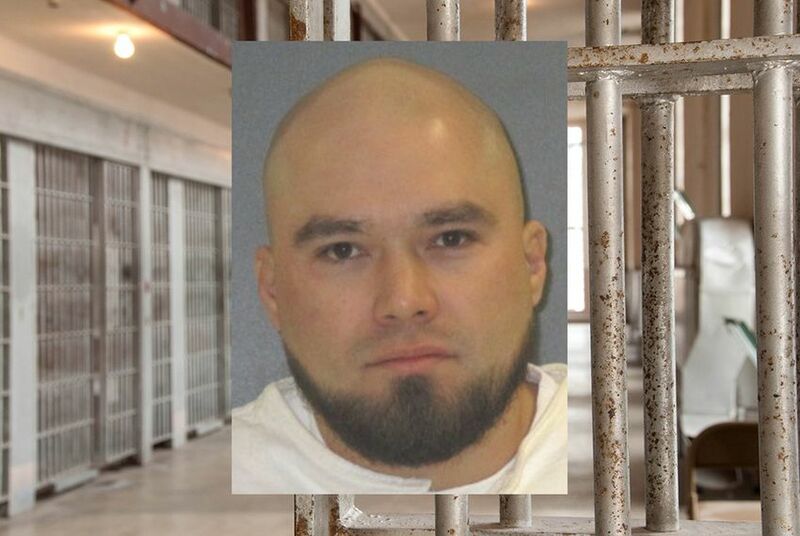 A federal district court in Corpus Christi halted the execution of Texas death row inmate John Ramirez on Tuesday, two days before he was set to die. Ramirez, 32, was convicted in 2009 in the stabbing death of Pablo Castro in Corpus Christi during a 2004 robbery. Castro was stabbed 29 times, and Ramirez wasn’t arrested until more than three years later when he was found near the Mexican border, according to court documents. He was set for execution on Thursday. The stay comes after two motions were filed last week by federal death penalty attorney Greg Gardner, even though he had no previous experience in the case. The court granted the motions to stop the execution and grant Ramirez new counsel because, the motion claimed, Ramirez’s previous attorney had failed to file a clemency petition. On Wednesday evening, the U.S. 5th Circuit Court of Appeals upheld the stay after Texas asked the appellate court to overturn it and move ahead with the execution. The state may still appeal to the U.S. Supreme Court, which could toss out the stay by Thursday evening when the execution was scheduled. On July 19, 2004, Ramirez and two women, Angela Rodriguez and Christina Chavez, were driving around in a van looking for people to rob for drug money when they spotted Castro taking the trash out from the convenience store where he worked, according to an opinion by the Texas Court of Criminal Appeals. Rodriguez and Ramirez approached Castro, and Ramirez slashed his throat and repeatedly stabbed him in his head, neck, shoulders and back, according to court records. Rodriguez went through his pockets and came back to the van with $1.25, according to Chavez’s testimony. The two woman were found the night of the murder appearing high and drunk, records stated. Rodriguez is currently serving a life sentence for murder, and Chavez pleaded guilty to aggravated robbery and got a 25-year sentence, according to prison records. She became eligible for parole in January. Ramirez evaded arrest until Feb. 20, 2008, when he was found near the Texas-Mexico border. He was convicted of capital murder and sentenced to death; he's been on death row for almost eight years. In the recent motions filed Friday, Ramirez claimed his previous appellate attorney abandoned him by not filing a clemency petition, a motion commonly filed in capital cases to the Texas Board of Pardons and Paroles and the governor asking for a stay of execution or commutation to life in prison. About three weeks after receiving an execution date, Ramirez wrote his previous attorney, Michael Gross, saying he wanted Gross to remove himself from his case so he could seek new representation. Gross complied, and didn’t file a clemency petition, but neither did anyone else. Attorney General Ken Paxton argued for Texas that Gross was simply following Ramirez’s instructions, but the court ruled Gross was still responsible because he hadn’t been replaced. After Ramirez’s godmother called Gardner, he filed the motions. Paxton said the two lawyers were engaging in “gamesmanship,” noting that both were involved in another death penalty case that was recently stayed. The court said a hearing did not suggest any such tactics. It is the first stay of execution in Texas this year, stopping what would have been the state’s third execution. Another execution is set for next Tuesday for Tilon Carter. After a nearly four-hour delay while waiting on final appeals in the U.S. Supreme Court, Terry Edwards was executed Thursday night for a robbery turned murder he claimed he did not commit. The U.S. Supreme Court said it would review the legal complexities in a Texas death penalty case, where a man killed a 5-year-old and her grandmother.